Manchester City and Juventus have agreed a deal for striker Carlos Tevez to join the Italian side in a transfer worth up to £12m. City accepted an offer of £10m that could rise by £2m with add-ons. The Argentina international, 29, is expected in Italy on Wednesday for a medical and to discuss personal terms over a proposed three-year contract. 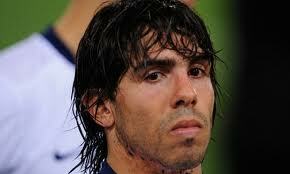 When the fee is combined with wages and bonuses due to Tevez in the final year of his contract, City could save £27m. The two clubs reached an agreement at a meeting in London on Tuesday. Tevez signed a five-year contract when he joined the Sky Blues in 2009 after previously playing for Manchester United.